Network-on-Chip architectures are scalable on-chip interconnection networks. They replace the inefficient shared buses and are suitable for multicore and manycore systems. This paper presents an Optimized Simulated Annealing (OSA) algorithm for the Network-on-Chip application mapping problem. With OSA, the cores are implicitly and dynamically clustered using knowledge about communication demands. We show that OSA is a more feasible Simulated Annealing approach to NoC application mapping by comparing it with a general Simulated Annealing algorithm and a Branch and Bound algorithm, too. Using real applications we show that OSA is significantly faster than a general Simulated Annealing, without giving worse solutions. OSA proves to be feasible for Networks-on-Chip with more than 100 nodes. Also, compared to a Branch and Bound technique, it gives better solutions, as the problem size increases, while in terms of speed and memory consumption the two algorithms are comparable. 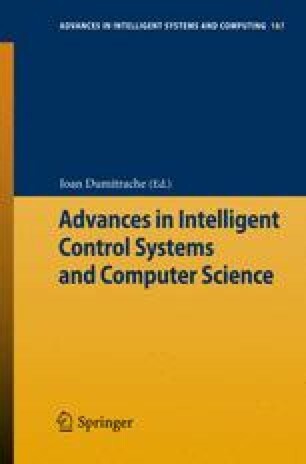 A preliminary version of this paper was published at the 18th International Conference on Control Systems and Computer Sciences (CSCS-18), held in Bucharest, Romania, during 24 – 27 May 2011.